These earrings are really beautiful. I was surprised when I saw the back of the earrings are cut-out hearts. Classic hoops get up close and personal in a design that sits more snugly on the ear— enveloping them in irresistible sparkle. 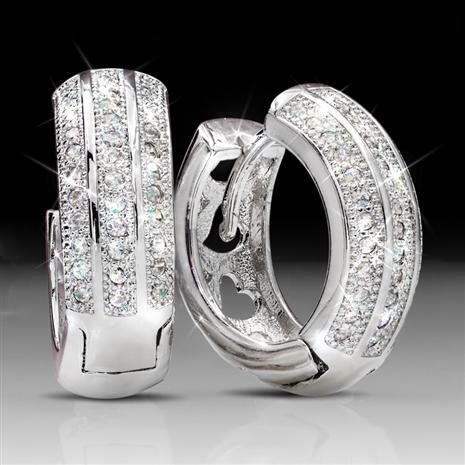 18K white gold finished hoops are shimmering with microset DiamondAura®— that rivals mined diamonds in fire and clarity— and runs circles around them in price.